Save on Baby at Nicky's Blog. 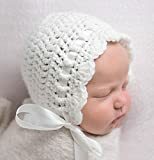 Top brands include Wexford Treasures, Gummy Chic, Sebastianseven, Seaux Sweet Embroidery, & Lil Lady Treasures. Hurry! Limited time offers. Offers valid only while supplies last. 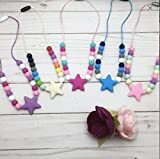 Silicone teething necklace for Mom, Teether necklace. 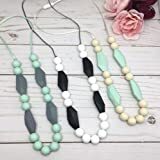 Silicone teething necklace for Mom, Teether necklace, Chew Necklace for Mom. 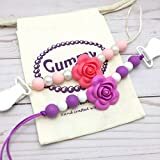 Set of 2 Flower Pacifier Clip for girl, Choose your color, Paci Holder, CPSC/CPSIA lab tested, Soother Clip, Easy to clean, Universal Dummy Clip. 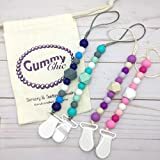 Set of 2 Universal Pacifier Clip for boy and girl, Pacifier Holder, CPSC/CPSIA lab tested, Soother Clip, Easy to clean, BPA free silicone, Teething Paci holder.